Designed with features and technologies that are typically reserved for premium race wheels, Aksium delivers quality performance for everyday road riding. Features include straight-pull spokes for added strength and stiffness, and lightweight rims for a lively ride quality. The rims are now wider, which allows for increased air volume and a better fit for larger diameter tires (up to 32mm). The hubs are incredibly tough, delivering high mileage and long-lasting dependability. And the QRM bearings are the smoothest in the category. 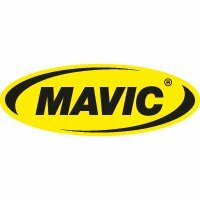 It all adds up to a wheelset that delivers the high-quality ride that Mavic is known for.